However, it appears to be unclear whether the figure represents a victory for SAP, which has long preferred the on-premises deployment model and is a late entrant to the SaaS market compared with rivals such as Salesforce.com, or whether it represents a failure to meet its targets. 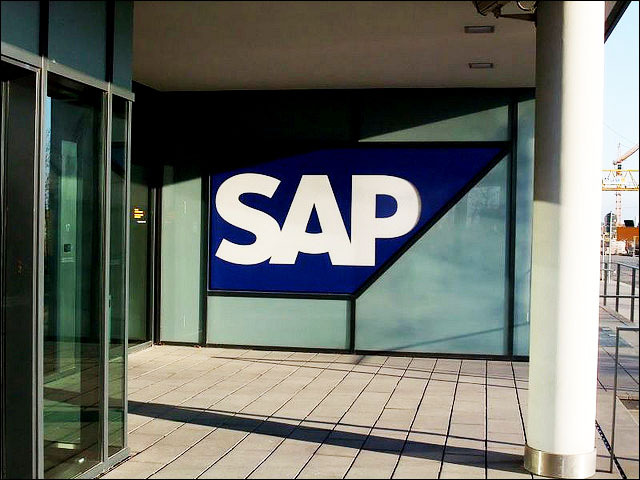 SAP never explicitly broke out the amount of customers it wanted to sign up over the past nine months with Business ByDesign, which is broadly aimed at companies up to 500 or so seats. In a separate media release, SAP listed a number of local Business ByDesign customers who had signed up to buy the service — ranging from cloud-focused packaging giant Visy, to management consultancy Futureye, security specialist Dragonfly, personal care products manufacturer QVS and IT services firms Soltius and Tango. Personally, I believe SAP’s customer sign-up rate for Business ByDesign is pretty much what anyone would have expected from the company after its launch in mid-2011. In short, it has had a few early wins, especially amongst firms already positive on cloud computing and those who were more technical to start with, but hasn’t yet broken through into the wider mainstream business market, where cloud computing services (as Salesforce.com has always found in Australia) continue to struggle. Disagree with me? Ask yourself how many major enterprises Salesforce.com has announced as new customers in Australia over the past several years — especially of its core CRM suite. That’s right … virtually none. Does the company have bad communications practices, or is it actually not signing up major new Australian customers? Nobody knows at this point. Interestingly, Oracle is having much better luck with its locally hosted CRM on Demand product — having recently signed up major customers such as the Victorian Department of Human Services, NSW government agency NSW Businesslink, NBN Co, AJ Lucas and Suncorp. Is that because Oracle’s Oracle, or because CRM on Demand is locally hosted? Again, it’s not clear just yet. Of course, in a wider sense, SAP doesn’t really want to be signing up customers for Business ByDesign. It would much rather customers sign up for its traditional on-premises suite. SAP is not a cloud company yet and I doubt whether it completely understands the dynamics of this area just yet. The market for SaaS services of this nature hasn’t been completely proven yet in Australian large mid to large enterprise, and with Business ByDesign, SAP is clearly keeping its options open to the new wave of interest in cloud while still maintaining its larger focus on its existing traditional product set. In short, despite the release of Business ByDesign last year, nothing has really changed dramatically yet in Australia’s business software market.